Amid vibrant colors and engaging illustrations, Whitney Cohen helps children embark on dozens of fun gardening activities. 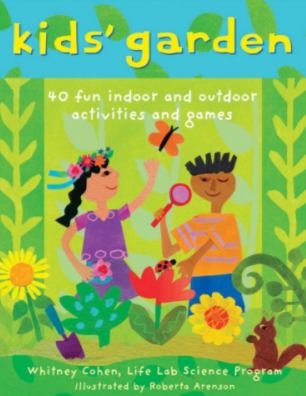 Divided into five categories - exploring the garden, planting and growing, fun with plants, discovering creatures and creating garden art - each of the 40 double-sided laminated cards provide an activity, directions, materials needed and the recommended time required. Activities include Raindrop Report, Paper Pots, Planting a Rainbow, Sock Garden and Recycled Bird Feeders. Designed for ages 8 and older, the activities are split among indoor and outdoor activities. The outdoor activities can be done any type of garden space or in a container garden.